It's official. Hudson is a music town. A few weeks ago, the New York Times called Hudson a "robust grassroots music scene." There's music everywhere--cabaret, bluegrass, reggae, neo-soul, rock, and yes, even classical. For fans of the latter, there's a new concert series starting at Club Helsinki this weekend. It's called "ClaverackLanding" after the settlement that preceded the City of Hudson on our bluff along the river, it's been created especially for Club Helsinki Hudson, and it's being described as "a series of intimate classical concerts featuring imaginative, brilliant works performed by Columbia Festival Orchestra's award-winning musicians, guest ensembles, and renowned soloists." The inaugural concert, "Tango Meets Classical," takes place this Saturday, October 2, at 8 p.m. 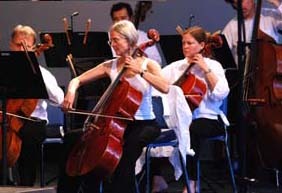 The program includes Astor Piazzolla's powerful "The Four Seasons of Buenos Aires," performed by violinist Katie Hyun and thirteen exceptional string players; Osvaldo Golijov's "Last Round," with dueling quartets; Arvo Pärt’s "Fratres," a "mesmerizing piece with suspended harmonies and eerie percussion"; and Ljova's "Plume," a "transcending blend of classical with jazz and gypsy sounds." Gossips' recommendation for a perfect autumn Saturday? 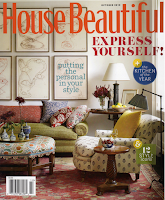 First, go on Historic Hudson's Old House Tour and visit some of Hudson's most intriguing homes. Next, go to Historic Hudson's benefit reception and feast on Jeff Loshinsky's exquisite hors d'oeuvres. Then, walk the short block and a half from the Tin Ballroom to Club Helsinki to experience "Tango Meets Classical," and if you're still hungry treat yourself to a small plate of Helsinki's rustic comfort food, featuring the spectacular produce of the Hudson Valley. 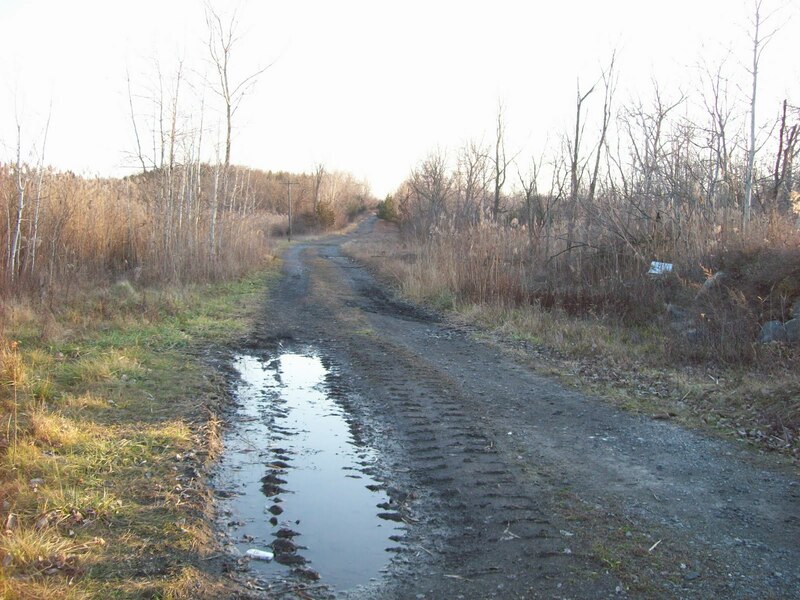 O&G and its proposal to create a haul road from the quarry to Route 9G were on the agenda for last night's Greenport Planning Board, but the item was scratched midway through yesterday. Last night it was explained that representatives of O&G were not there because they "weren't prepared." A simple majority requires 1,011 yes votes. 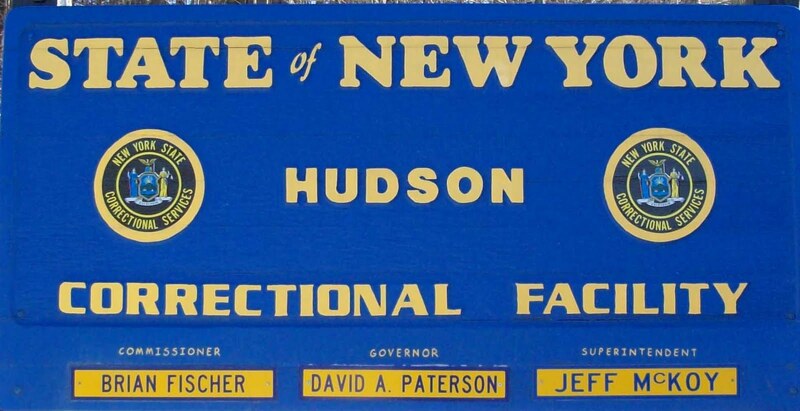 Reporting the number of prisoners incarcerated in Hudson, Suchow misses the point: "According to [City Attorney Jack] Connor, 618 people were incarcerated at the Hudson Correctional Facility as per the 2000 U.S. Census. But state Office of Public Information spokesperson Linda Foglia told the Register-Star in August that the facility housed 358 inmates." This isn't a discrepancy. The population of the Hudson Correction Facility decreased by more than 40 percent in the past ten years. After two years of staging its Old House Tour in places with historic links to Hudson--the hamlet of Claverack in 2008, the Town of Greenport in 2009--Historic Hudson returns to the city for its fifth annual tour on Saturday, October 2. The tour's title, "At Home with History," borrowed from the current issue of Preservation Magazine, reflects the nature of the six houses that make up this year's very walkable tour. One nearly as old as Hudson itself, the others built at different times throughout the 19th century, all six houses have survived periods of boom and bust in Hudson and have entered the 21st century rescued and restored. None is an antiques-filled house museum--although antiques are present in most. Rather, with respect for the house's history and its original architectural design, the owners of each house have created within the historic structure tasteful and comfortable living space. The daylong house tour concludes with a benefit reception--this year to be held at the Tin Ballroom. The event is being catered by Jeff Loshinsky, and the wines to be served were chosen by Michael Albin of Hudson Wine Merchants. The houses on the tour will be open from 10 a.m. to 5 p.m. The reception is from 6 to 8 p.m. The cost is $40 for the tour, $75 for the reception, or $100 for both. Make reservations at 518 828-1785 or the Historic Hudson website. Tickets for both events can be picked up or purchased at the Hudson Opera House, 327 Warren Street, beginning at 9:30 a.m. on Saturday, October 2. Tickets for the reception must be purchased in advance. 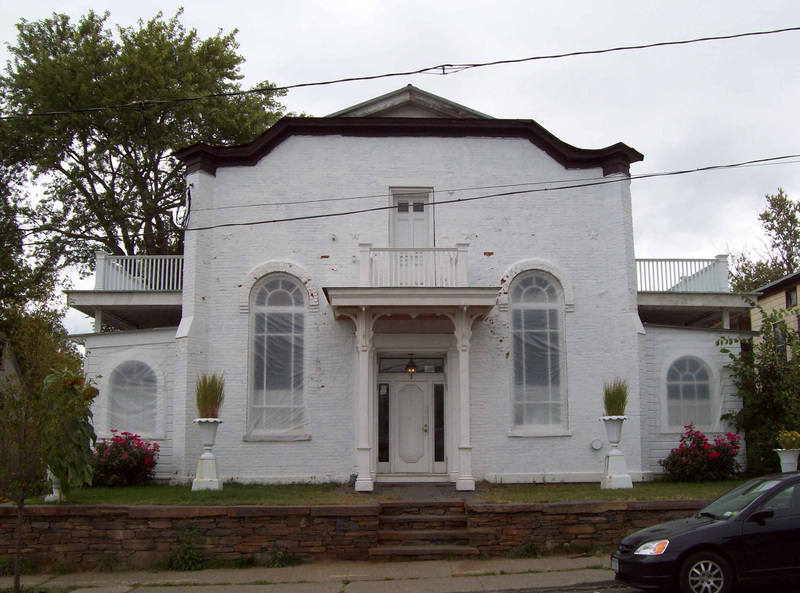 Since 1996, Historic Hudson has advocated for the preservation of Hudson's unique architectural heritage. It's a force for good recognized by all of us who care about the historic fabric of our city. Historic Hudson has intervened on many occasions when Hudson architecture is in danger of misuse or demolition and has assumed the stewardship of Dr. Oliver Bronson House, the forgotten and neglected Hudson River mansion that is now, thanks to Historic Hudson's advocacy, a National Historic Landmark in the process of being stabilized and preserved. The Old House Tour is Historic Hudson's major annual fundraising event and everyone's best opportunity to support valuable work they do. In August, some people from California sailed up the Hudson River in their 40-foot sailboat named Kokopelii. Their journey had started in San Francisco, their home port. They'd sailed down the coast of California and Mexico, through the Panama Canal, and up along the Atlantic coast to New York City, where they picked up a friend who lives in Hudson. The plan was to sail up the river to her home. 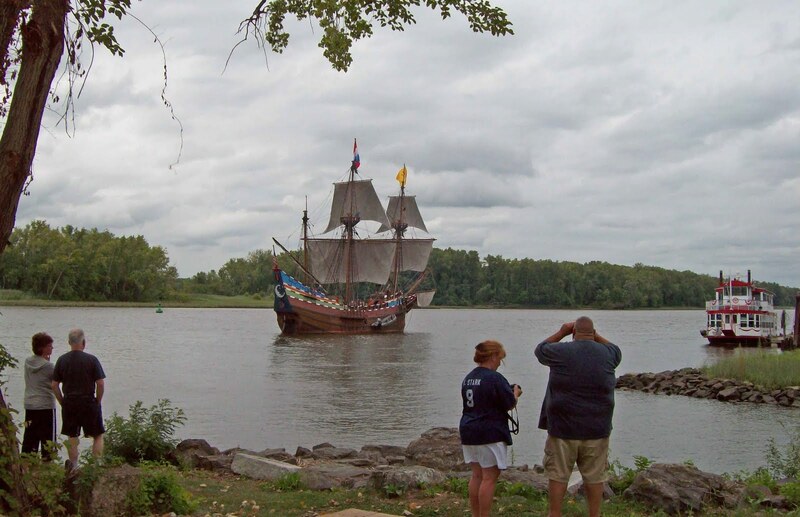 The group took their time on the river, enjoying the hospitality of marinas along the way. They stayed overnight at marinas in Croton-Harmon and Kingston. Wherever they stopped, the Kokopelii was welcomed. Marinas were thrilled to host a 40-foot sailboat that had sailed all the way from San Francisco . . . until it reached Hudson. When the Kokopelii sailed into Hudson and tried to dock at the Power Boat Association, they were told to leave. Although there appeared to be plenty of available spots, they were told, "This waterfront is private--no visitors, no exceptions." The HPBA, it seems, maintains no spots that can be rented to visiting boats. The Kokopelii had to go across the river and dock in Athens. The California visitors were disappointed; the Hudson resident thoroughly embarrassed. The exclusionary "private" policy of the Hudson Power Boat Association, which apparently is not shared by other marinas along the Hudson, and the rude manner in which the policy was articulated by a member of the HPBA underline the bitter irony of calling Hudson "The Friendly City." Tourism is a component of our economic development strategy. Tourists, who buy local products, patronize local establishments, create tax revenue, and support local amenities, don't only arrive by car or by train. They also arrive by boat, and the Power Boat Association is turning them away. The Sun Sets on the Hudson . . .
while nearby on the Hudson waterfront, Christians "praise and exalt Jesus" and folks from the Power Boat Association party. David Marston's website SaveBlissTower is now up, providing important background information and a well-reasoned argument for saving Hudson's only Urban Renewal era public housing high-rise. The attention Gossips has been paying to Bliss Towers has led some to conclude that I am an advocate for saving Bliss Towers. Frankly, I'm not sure if I am or not. On the one hand, I am appalled by the sheer wastefulness of demolishing a huge building that's only thirty-seven years old. I think the greenest building is the one that already exists. I believe that density not sprawl is what makes cities vibrant and efficient places. I don't think there is anything intrinsically wrong with high-rise apartment buildings. All these things make me a Bliss Towers preservationist. On the other hand, I wish that Bliss Towers had never been built. I regret the loss of the organic neighborhood that was sacrificed to build it. I think the building is monstrously out of scale with the rest of the city. I wish it wasn't the first thing people see when they approach Hudson from any direction--especially from the water. Those attitudes, I suppose, argue for its demolition. My greatest concern about the current planning for Bliss Towers is what is being proposed to replace it: fifty or sixty two-unit buildings, some scattered throughout the city, some constructed on the current site of Bliss Towers. So far as I can tell, this plan is being proposed because there is money available for it, but in my opinion there are serious problems inherent in the plan. In terms of land use, the plan is very uneconomical. Hudson doesn't have a lot of geographic area, and maximizing the buildable land area we have should be a priority. This plan significantly increases the land area required to provide the same amount of subsidized public housing that Bliss Towers now provides, taking up land that could be used for new owner-occupied homes, for affordable housing, or for market rate rental apartments. Land use is closely connected with property taxes—the major source of revenue for paying for city services. Right now in Hudson the owners of many commercial and residential properties are struggling under disproportionately heavy property tax burdens. There are reports of people trying to sell their houses for less than the assessed value to escape the taxes anticipated for the coming year. It is also rumored that people are reluctant to buy property in Hudson because of the perception of runaway taxes. Short of making drastic cuts in the City budget that would require the reduction or consolidation of essential services, increasing the number of properties paying their full share of property tax is the only way to ease the tax burden. Every piece of land taken up by a project that requires a tax abatement or a PILOT is land unavailable for development that would contribute its fair share to the City budget. Another problem with replacing Bliss Towers, as Gossips has noted before, is that finding enough space for the new construction may require demolishing—in addition to the high-rise and low-rise buildings that make up the Bliss Towers complex—a number of 19th-century houses in the blocks surrounding Bliss Towers that survived the devastation of Urban Renewal. Eliminating more of what’s left of the original architectural fabric of the city in these neighborhoods further diminishes the possibility that the regeneration that has occurred and continues to occur in other parts of Hudson could ever happen in any significant way in the Second Ward. The Hudson Housing Authority has explained that there is money available to build new public housing projects but there is not adequate money to maintain them. This circumstance is blamed for the dilapidated condition of the thirty-seven-year-old Bliss Towers, which has been called a “maintenance nightmare.” Managing and maintaining a building the size of Bliss Towers is undoubtedly a challenge, but it seems it would be an even greater challenge to manage and maintain fifty or more small buildings scattered throughout the city. Bliss Towers tenants have already expressed concerns about security if the high-rise were to be replaced by scattered site units. 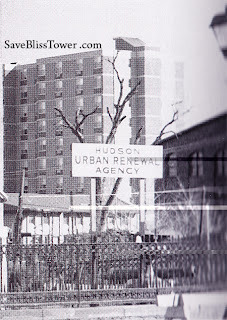 The creation of Bliss Towers had a huge impact on the built environment of Hudson, and its existence has affected the city's social and economic character. Whatever decision is made about the future of Bliss Towers will have a similar impact on the city—not just the Second Ward but the entire city. Jeffrey First and the Board of Directors of Hudson Housing Authority tell us they are consulting with Bliss Towers tenants to ensure that they find the best alternative for them, and I am confident they are, but what about the rest of the city? Are they considering the impact of their decision on the tax base, on city services, and the city’s economic future? Scattered site and mixed income are hot terms in public housing at the moment. The evidence that these concepts benefit the people who live in public housing and the neighborhoods and communities in which such housing is located seems to be primarily anecdotal, and there are significant differences in the way these concepts can be implemented. What we need to do is find the best way for Hudson. Is the best way constructing two-unit townhouses, which, given the setbacks and spaces between the buildings proposed in the only plan that exists so far, seem more suburban than urban? Would it be better to replace Bliss Towers with several smaller apartment buildings that don’t exceed the city’s four-story height limit, located in different parts of the city and offering a mix of low-income, affordable, and market-rate units? Is the university quad model, suggested by a commenter on this blog, one that should be pursued? In her book The Battle for Gotham, Roberta Gratz identifies the classic brownstone as “the most successful housing form” for New York City. “The four- and five-story brownstone is the perfect structure to serve a single family or as multiple apartments. Easy to reconfigure over time, new brownstones would make infinitely more sense than the single- and two-family suburban housing that has been built in too many [New York City] neighborhoods over the past twenty years (page 250).” Maybe what we need to do is follow the model of our own 19th-century houses, which have housed single families and multiple apartments, and build three-story row houses like the ones found below Second on so many Hudson streets. In order for us to explore the alternatives and reach the solution that will be best for Hudson, the discussion of Bliss Towers needs to be opened up to include more people than those currently at the table. We need to consult smart independent urban planners and students of cities who can counsel us about the course of action that would be good for Hudson as a whole instead of allowing the future of our city to be shaped by the availability of federal funds and the recommendations of a developer who will benefit from replacing Bliss Towers but has no vested interest in Hudson. Ironically, the goal of both scattered site housing and mixed income housing is to create a mix of residential and commercial buildings and a mix of people of different income levels similar to what seems to have existed in Hudson's Urban Renewal Area in the 1950s and 1960s, before it was all bulldozed. Thanks ﻿to Lisa Durfee for discovering this picture and letting Gossips use it. 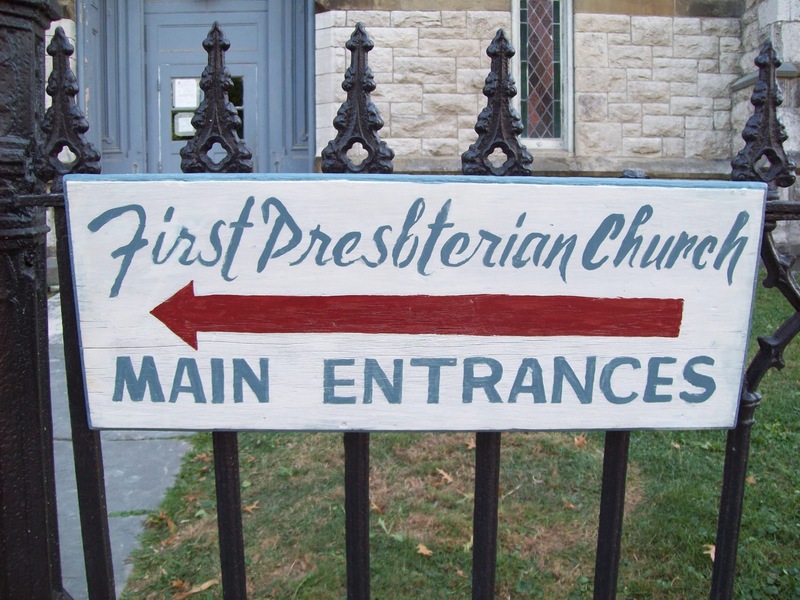 This year, the First Presbyterian Church is celebrating its 225th birthday, which means that the City of Hudson is celebrating its 225th birthday, too, since the church was founded in the same year that the city was incorporated: 1785. 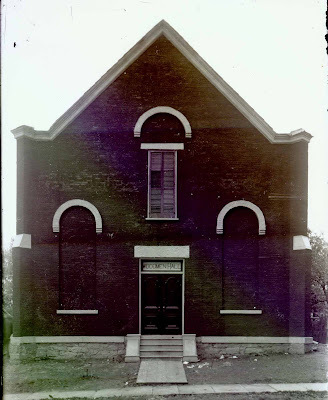 The church's birthday party is tomorrow--Sunday, September 26--from 1 to 4 p.m. There will be music and games, free cupcakes and ice cream (as befits a birthday party), and hotdogs for a quarter. Best of all, at 3:30 there will be a Blessing of the Animals. Come celebrate the church that has been part of Hudson for as long as the city has existed. William will be there. He's looking forward to it--although I'm not sure if he's more interested in being blessed or in snagging a hotdog or two. 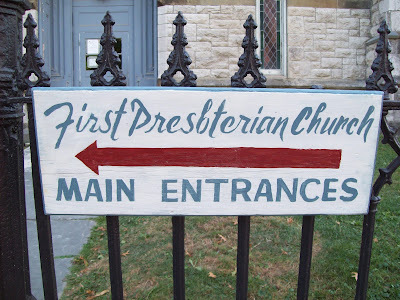 A Pedantic Footnote: More than a decade ago, I noticed a spelling error in the sign that directed people to the main entrance of the First Presbyterian Church. Over the summer, the sign, which hung on the fence along Warren Street, disappeared. I figured the church had finally decided to replace it, but earlier this week, I noticed the sign was back. Someone had painstakingly repainted it, carefully preserving the misspelling. Some people think the exterior renovations at Hudson Terrace are better than anything they could have imagined--principally, I suspect, because the colors of the new vinyl siding make the buildings blend better into the landscape. Others have expressed the opinion that the complex looks more like public housing now than it did before. But what's happening with the landscaping? 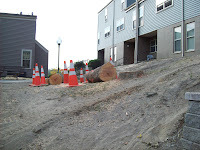 In the south half of the complex, all the grass between the buildings and the parking lot has disappeared, and this morning, some major trees were cut down. 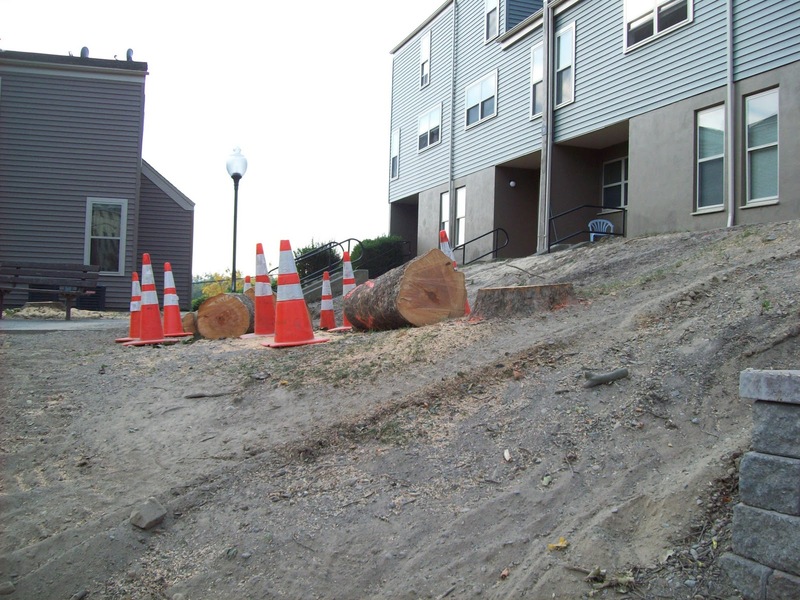 Eliminating mature trees is always ill-considered and wasteful, and the decision to do so doesn't bode well. Nor do the new streetlights. They've installed the big Acorn luminaires on lamp posts that are very short and skinny, resulting in a disproportion that is just the opposite of the new city street lamps, whose luminaires seem too small to sit atop those very tall poles. Still, we can all take solace in the fact that Hudson Terrace as we know it is better than what might have been. This early vision for the Hudson waterfront was discovered in the History Room at the library. The caption reads: "The apartments overlooking the Hudson will mark the rebirth of the City's west end." 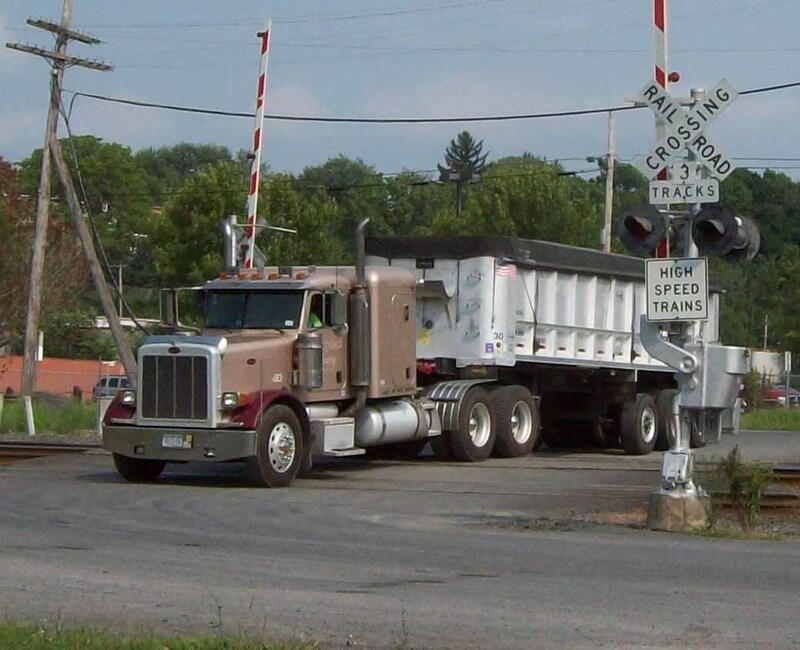 The Register-Star reports this morning that the City of Hudson has ordered Cargill to cease and desist its illegal practice of trucking salt to the river and storing more than the permitted amount of salt at the dock: "City issues cease and desist for salt trucking." 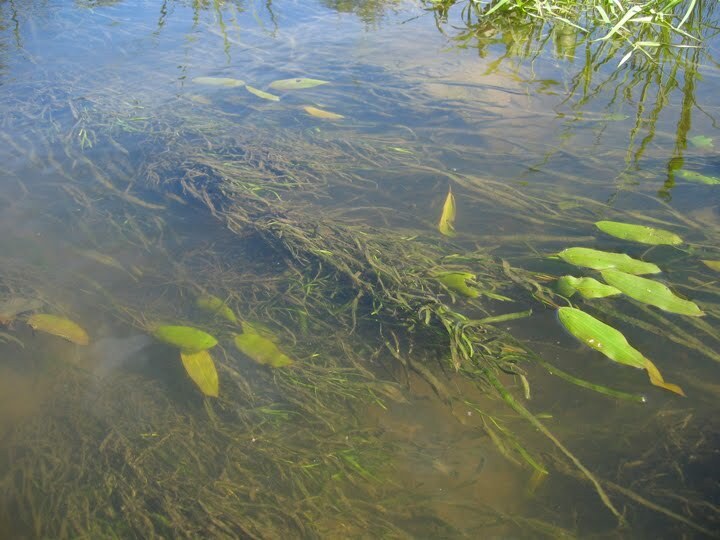 The article fails to mention that the conditions of the permit issued to Cargill in 1996 were investigated and brought to light by First Ward Alderman Sarah Sterling at the August meeting of the Common Council. 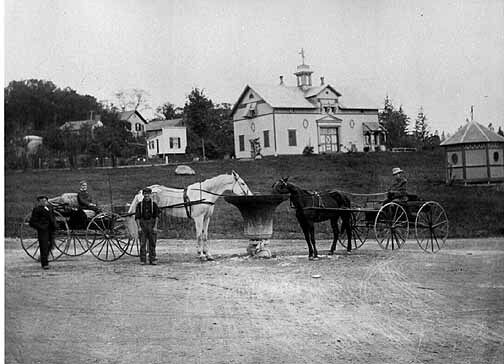 This image is from the collection in the History Room at the Hudson Area Library. 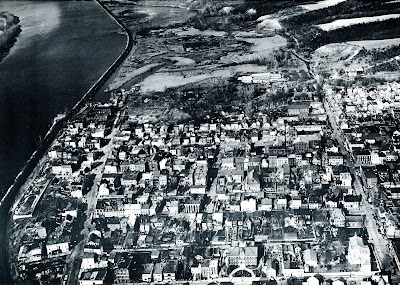 It shows Hudson below Second Street shortly before fifty acres north of Warren Street were razed for Urban Renewal projects. At the bottom of the picture is Allen Street, with the Allen Street School prominently visible; at the right is Second Street; at the left is the river and Promenade Hill. Click on the image to enlarge it. At the Finance Committee meeting, which preceded the regular Common Council meeting last night, Deborah Kinney, speaking for the Hudson Property Owners Coalition (HPOC), asked Treasurer Eileen Halloran and Common Council President Don Moore, who with Mayor Scalera make up the Board of Estimate and Apportionment, and the members of the Common Council who sit on the Finance Committee, to reduce the 2011 city budget, warning that property taxes could be intolerable for property owners who have seen their assessments double in 2010. Most of the details of the meeting are reported in this morning's Register-Star: "HPOC leader: Lower ’11 taxes." Not mentioned in Lindsay Suchow's account were the comments of an East Allen Street homeowner who told the committee that his school taxes had increased 160 percent in spite of the fact that the mil rate for school taxes had gone down 3 percent. "Nobody is trusting anything that is going on," he told the committee. "People are trying to dump their properties in anticipation of what is going to happen." 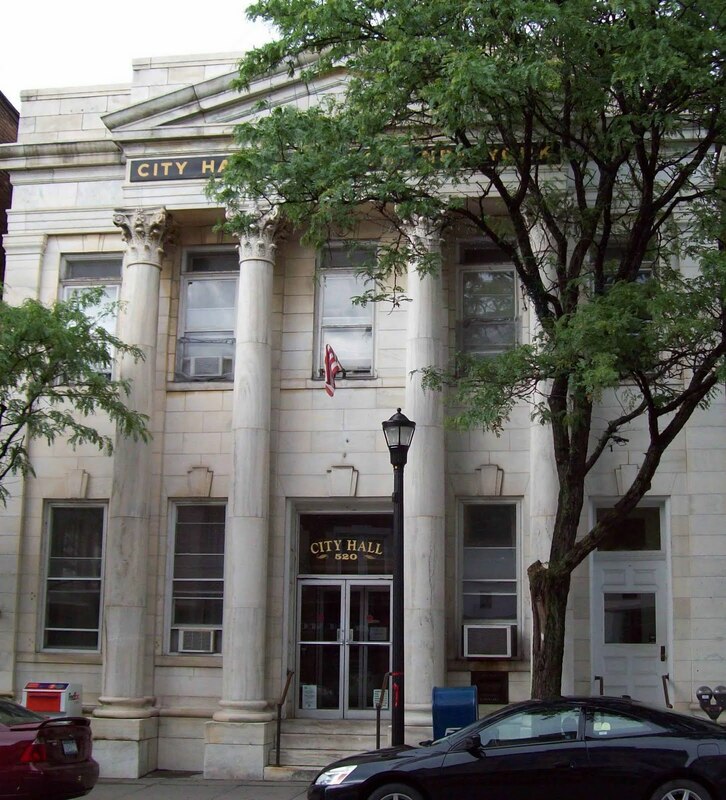 The draft 2011 city budget will be presented to the Common Council on November 10. After the budget is delivered to the Council, a public hearing will be scheduled. The Council must vote to approve by budget by November 30. 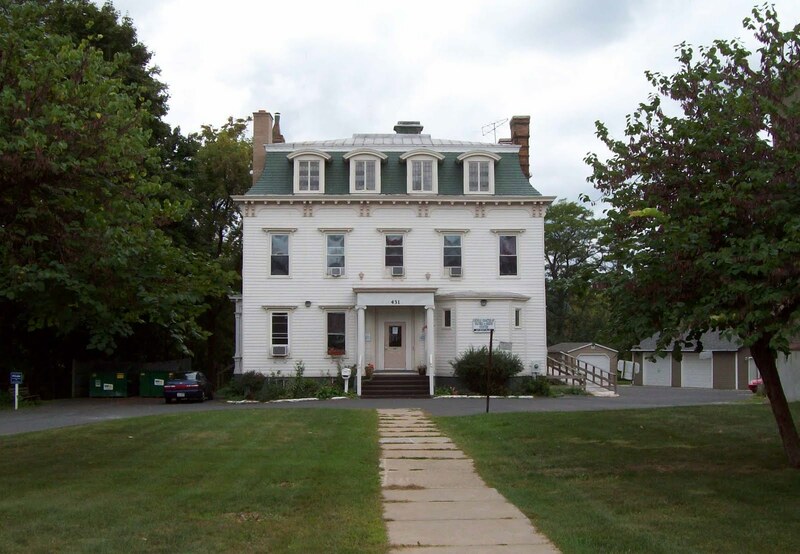 During the regular Common Council meeting, the Council unanimously passed a resolution authorizing the mayor to negotiate for the purchase of this building--25 Railroad Avenue, the current home of the Department of Social Services. It's possible that the city and the county may now be in competition for the building it once seemed nobody wanted. The mayor plans to relocate the police department and the city court to the building. 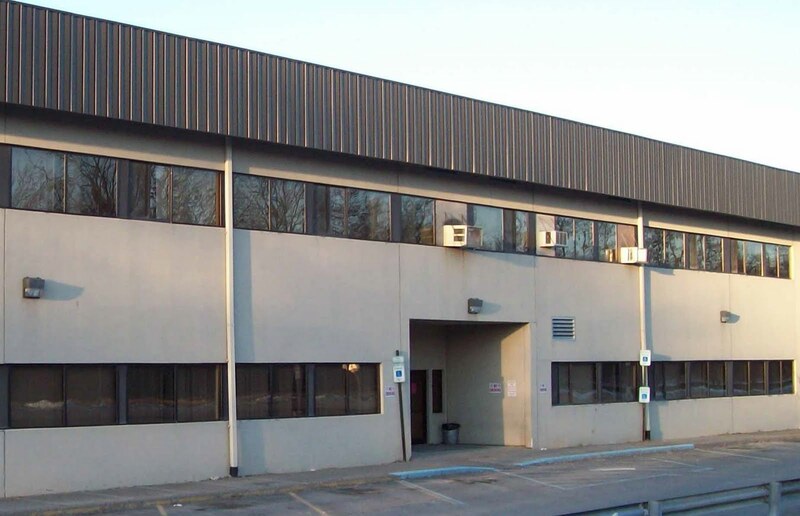 The county, which has been leasing the building since it was constructed nineteen years, has authorized an appraisal of the building as part of the search for a future location for DSS. The county's lease on the building expires in June 2011. When the meeting was opened to new business, Linda Mussmann, from the audience, asked for a progress report on efforts to correct "prison gerrymandering" in Hudson. In early August, the New York State legislature passed a measure requiring prisoners to be counted, for legislative districting purposes, in the communities where they lived before they were incarcerated instead of the communities where they reside as prisoners. In September, Mussmann came to the Legal Committee meeting to demand that the change, which would alter the weighted votes in the Common Council, be implemented immediately. She maintained that prisoners represent 35 percent of the population on which the weighted vote of the Third Ward aldermen is currently based. Removing the prison population from the equation would reduce the weight of the Third Ward votes and would also increase the votes of the other wards by some undetermined amount. According to the city charter, the weighted vote is based on the U.S. Census, and it is recalculated every ten years when a new census is taken. When the 2010 census numbers are available, the weighted vote will be recalculated based on those numbers. Mussmann wants the weighted vote to be recalculated now, to eliminate the 600 prisoners who were counted in the 2000 census, and recalculated a second time when the 2010 census os finished. She bases her argument on fairness, but it's hard not to wonder if part of her motivation might be to diminish the voting power of two aldermen who seem disinclined to support the LWRP in its current form. On February 7, 2010, there was an explosion at a nearly completed power plant in Middletown, Connecticut. The blast killed six people and injured fifty more. February 7 was Super Bowl Sunday, and it's alleged that all those people were working on Sunday because the lead contractor was hoping to collect a $14 million bonus for early completion. 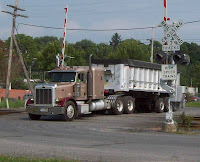 That contractor was none other than O&G, the same Connecticut-based company that's running gravel trucks through our city and seeking to create a haul road directly from the quarry to the dock to give them the freedom to run more and larger trucks--through the wetlands in Greenport, across the two highways that enter Hudson, through South Bay, across the railroad tracks, and to the river. Earlier this month, Fortune published an exposé of the accident and the circumstances that led up to it. Thanks to Victor Mendolia for bringing this to everyone's attention. The leaves are just starting to turn on Mt. Merino, and fall officially begins tomorrow night at 11:09 p.m. After a long, hot summer, the cool nights and the chill in the early morning air are welcome, but there are a few things that come with fall that are not so welcome: the departure of some of our favorite things. Lick, Hudson's favorite ice cream parlor, has announced that they will stay open at least through Columbus Day weekend. After that, no more visits to Lick for ice cream until spring. Remember, though, that Lick typically ends the season with a pint sale, so you can stock your freezer and not be without your favorite ice cream through the long, bleak winter. Brian Branigan has announced that Tortillaville will only be in Hudson for another five weekends, through the middle of October. After that, the tortilla wagon heads to the Florida Keys for the winter, to return in April. If you can't follow Tortillaville to Florida, there's a nearby indoor alternative for those who like Mexican food for lunch: the Cafe at the Hudson Supermarket. Perhaps most depressing, Daylight Saving Time ends on Sunday, November 7. Soon both morning and evening dog walks will have to be taken in darkness, with no stopping at Lick for treats. The area encompassed by the Urban Renewal plan presents a bleak and somber portrait. The Bureau of Urban Affairs of the New York State Division of Housing and Community Renewal found the area "badly deteriorated in a physical, social and economic sense," and found it "the most deteriorated, obsolete and dangerous section of the City." Approximately 286 dwelling units, housed in 176 buildings, most of them in extremely substandard condition, were found in the area. Approximately 850 persons resided in them in conditions that were deplorable. Overcrowding was a problem in many buildings, and dwelling units sometimes housed two or three families. Many units were vermin infested, had inadequate wiring, poor plumbing, inadequate heating facilities, chipping paint, leaking roofs, poor lighting, and cracked foundations. Fires had always been a problem in the area, and the rotted hulks of many burned out buildings were to be found. Physically the area contains more than fifty acres and is bound on the North by New Street, on the South by Cherry Alley, on the West by the Hudson River and on the East by Second Street. The area was a tax problem to the City, taking more than its proportionate share of City services, such as fire, police and health protection. There was also a problem with the abandonment of buildings as well as there being a number of structures owned by the City because of tax defaults. It was therefore not surprising that this area was designated as the City's first Urban Renewal Project and that this decision was greeted with support by both the area's residents and the citizenry in general. Some of the things said about the Urban Renewal Area before redevelopment could be said of the same area today--forty years later. In her book The Battle for Gotham, Roberta Brandes Gratz talks about two kinds of change: regeneration and replacement. What happened in the Urban Renewal Area forty years ago was replacement, and for the same area, we're talking about replacement again. In contrast, in a comparable area on the south side of the city--which was also, according to evidence discovered, in the sights of the Urban Renewal Agency--regeneration is happening. On the south side, private investment has rescued many buildings that were once in woeful disrepair, and property values--as well as tax assessments--have increased significantly. One of the most disturbing things about the current plan for replacing Bliss Towers is the possibility of demolishing--in addition to the high-rise and low-rise buildings that comprise Bliss Towers--a number of examples of Hudson's authentic vernacular architecture, further diminishing the possibility that change through regeneration, which has occurred and continues to occur throughout the rest of the city, could happen in this part of Hudson. The Hudson Scrabble Tournament, a fundraiser for the Hudson Area Library, begins tomorrow! There is an entry fee of $20, which benefits the library. Tournament matches will take place at the Spotty Dog and at the library--at the Spotty Dog on Monday and Friday evenings and on Sunday afternoon, at the library on Wednesday evening and Saturday afternoon. 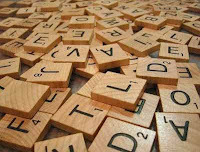 The big winner will take away half the entry fees, but there are also prizes for the highest single-word score and for the lowest game score. Players of all abilities have a chance for distinction! Go to the Hudson Area Library website for more details about the tournament and information about how to enter. Time's running out! Years ago, when I saw this post card image for the first time, I was thrilled to realize that I was looking at the lost block of Warren Street--the south side of the block between Front and First streets. With the exception of the building at the corner of Warren and Front, this entire block was demolished in the early 1970s to make way for a "shopping mall" that proved the fallacy of the assumption, "If you build it, they will come." To my knowledge, there never were stores in the building that's there now, which is now used by COARC. I recall hearing that the buildings on this block were in such terrible condition that they were beyond repair. Just today, in the History Room of the library, I discovered this picture of the block, which appeared in the Register-Star on July 31, 1973, shortly before the buildings were razed. Looking at the buildings, I was reminded of Roberta Gratz's assertion in her latest book, The Battle for Gotham, that the blighted condition of buildings and neighborhoods to be cleared for Urban Renewal projects was usually exaggerated. The section of the block shown in the two pictures is a little different. 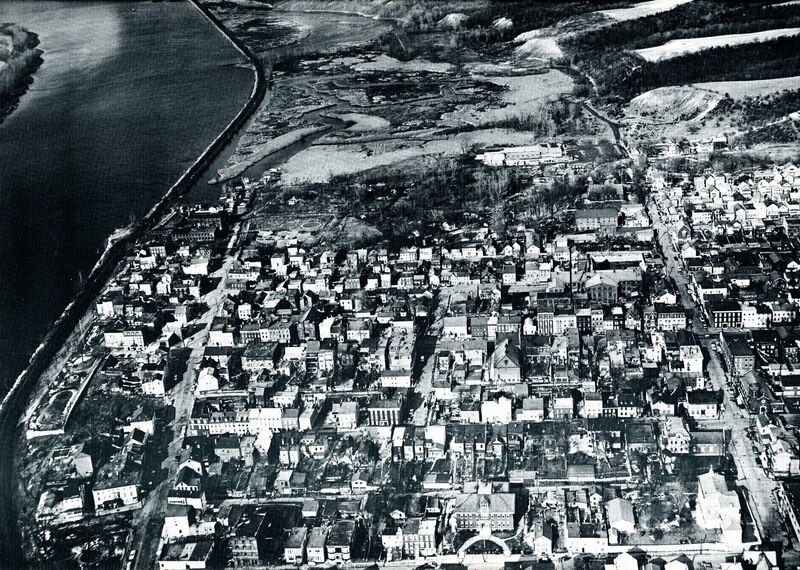 The first building on the right in the 19th-century picture appears in the center of the 1973 picture. South Bay was once a favorite subject for artists of the Hudson River School. Sadly, from the second half of the nineteenth century, when it was crisscrossed with railroad lines, through the twentieth century, when part of it was used as a dump and other parts filled in to construct a now-abandoned industrial building, South Bay has deteriorated into what is now dismissed by some as "just a swamp." The South Bay Task Force has created a blog to help people see South Bay in a different way. The photograph below is one of the images displayed on the blog. Tomorrow--Saturday, September 18--at 6:00 p.m., the Friends of the First Presbyterian Church are sponsoring a benefit concert by Graham Farrell, former music director at Sacred Heart Church in St. Paul, Minnesota, performed on the First Presbyterian Church's 1927 Austin pipe organ. 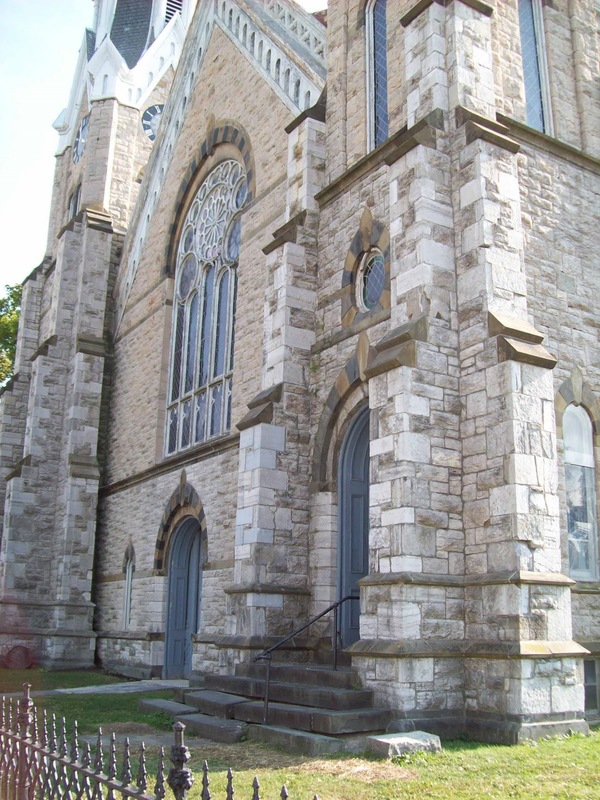 The concert, which is being called "A Happy Hour with J. S. Bach, Cole Porter & Friends," benefits the ongoing restoration of the historic church at the corner of Warren and Sourth streets. A $15 donation is suggested. To update the progress of the current restoration project: As previously reported, the appropriateness of the mortar being used had been called into question. The contractor maintained that the mortar had been prepared according to formula that had been approved. Gossips has received word, however, that samples of the mortar that had already been applied were removed and sent to the State Historic Preservation Office on Peebles Island for analysis, and the application of mortar has been suspended until that results of that analysis are known. 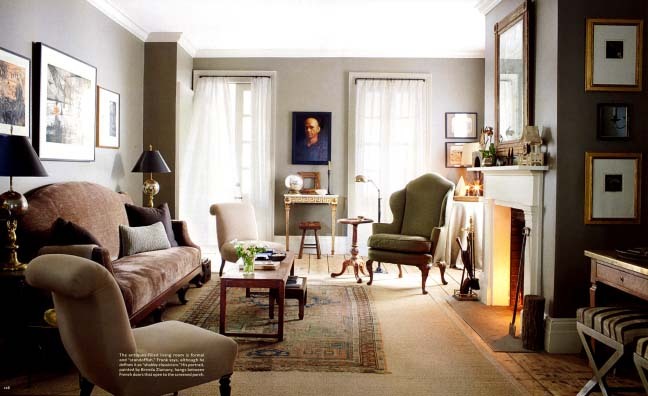 The interior of Peter Frank's house (formerly Byrne Fone's house, formerly Frank Faulkner's house) is featured in the October 2010 issue of House Beautiful. Find yourself a copy and have a look. 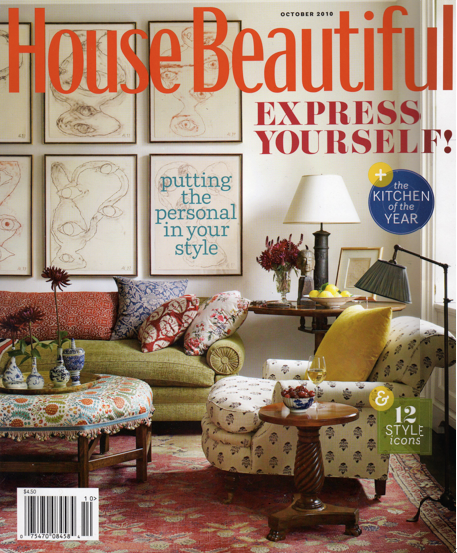 If the photographs in the magazine make you long to see it all for yourself, you can! 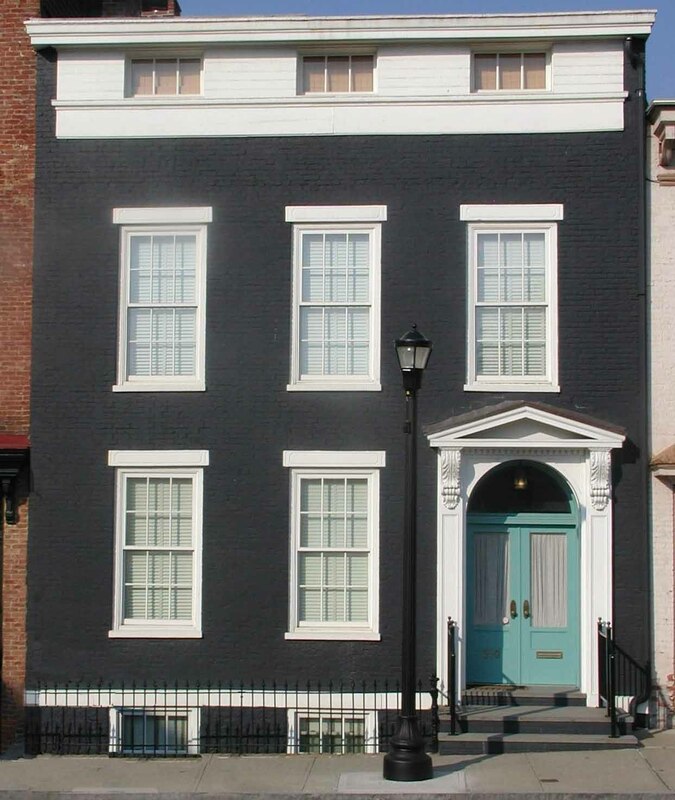 The house is one of the six houses on this year's Historic Hudson Old House Tour, which takes place on October 2. With all the accomplished graphic designers in Hudson, we're getting signs directing people to Henry Hudson Riverfront Park designed by DPW Foreman Skip Weed: "Waterfront signage slated for Front St." To quote from the article in this morning's Register-Star: "Department of Public Works Foreman Skip Weed said he’s waiting for the blank signs to arrive, and then he will 'come up with something nice,' with arrows pointing toward the river and possibly Hudson’s signature whale adorning the sign." According to Alderman Geeta Cheddie, who appears to be the mastermind of this project, there will be three signs along Front Street--in front of the former Washington Hose firehouse, at the Ferry Street Bridge, and at the Broad Street railroad crossing. The article goes on to say that "Cheddie said she’d also like to see waterfront signs posted at the Third Street and Wurst [sic] Avenue entrances to the city, as well as 'anywhere else . . . that might be relative to where the traffic comes through.'" Earlier today, Gossips reported that India--a Third World country--had rejected a proposal for $200-million cement plant. Meanwhile, back on the Hudson River, efforts continue to make the modernization of Lafarge Ravena as environmentally responsible as it is possible for it to be. (Lafarge Ravena has the reputation of being the single greatest source of mercury emissions in New York State.) All of Columbia County is downwind of the Ravena stack, and we're probably more likely to experience the effects of wind-borne pollution and toxins than Ravena itself. 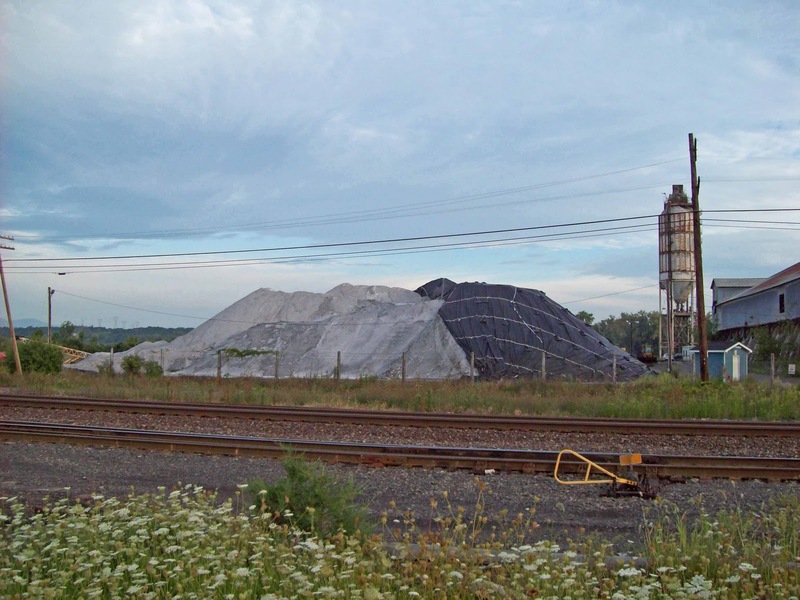 Thanks to the efforts of Friends of Hudson and Ravena-based CASE (Community Advocates for Safe Emission), Lafarge Ravena is holding "Information Fairs" to discuss the proposed modernization of the Ravena plant. Two of the meetings will be held on our side of the river. The first is on Thursday, September 16, from 6:30 to 8:30 p.m., at Stuyvesant Town Hall, 5 Sunset Drive. The second in on Thursday, September 23, from 6:30 to 8:30 p.m., at the Castleton Volunteer Ambulance Building, 1700 Brookview Road in Castleton. At the meetings, representatives from Lafarge will discuss the technology proposed for the new facility, the construction timeline, and other details of the modernization. Someone told me recently that parades used to be routed along Fifth Street and down Union because there was too much horse manure on Warren Street. My first inclination was to wonder why they didn't just clean up Warren Street in preparation for a parade, but maybe there wasn't a Department of Public Works back then. The following story from the Daily Register illustrates another disadvantage of horse-drawn carriages--besides serving as a cautionary tale about litter in the streets. Last evening about dusk, one of the most frightful runaways that has ever occurred in this city took place, resulting in badly injuring and the narrow escape from death, of a lady and gentleman. Mr. Wm. B. Coffin, of this city, with his wife was leisurely driving down Warren street, and, when in front of the City Hall, the wheels of the wagon struck a heap of stones, which had been left there in a very careless manner. Mr. Coffin was thrown from the wagon, and his horse taking fright, started down the street at a fearful pace. The gentleman clung to the rains until he was forced to leave go for fear of being killed. Freed from all restraint, the now thoroughly frightened animal redoubled its pace, and pursued his mad career with Mrs. Coffin in the wagon with nothing apparently between her and death. The horse turned toward Union street at Third street, and then again into Partition street, and Mrs. Coffin hoped that he would stop at the stable. Not so, for the mad animal kept on his frightful course down Partition street. At the corner of Partition and Front the wagon struck a post, breaking the box from the springs, and throwing it and Mrs. Coffin to the ground with such violence that the bystanders expected to pick her up dead.--The force with which Mrs. C. fell completely stunned her, and she was carried at once to her residence, where Dr. H. Lyle Smith was called. Upon examination she was found to be injured internally to quite an extent, and it is feared that some of her bones are fractured. That she escaped instant death or at least fatal injuries, is a most remarkable fact, for no one who saw her fall supposed that she would be found alive. Her escape may be attributed to the fact that the wagon box broke lose [sic] at the time she fell, and clinging to that the fall was broken. The shock the wagon received did not stop the runaway, and he ran up Front street to Warren, and up Warren to Fifth, where he was stopped by Mr. Wm. H. Sluyter. Mr. Coffin by being thrown out and dragged along, was quite severely bruised, but not to any dangerous extent. The wagon was made a perfect wreck, the box being smashed, the axles sprung, and the . . . springs broken. No damage was done to the horse. All the circumstances of this affair being considered we can truly say that it was a remarkably narrow escape for the parties concerned. Regretting the injury Mr. and Mrs. Coffin have received, we congratulate them that the accident resulted no more seriously. Note: Since the Coffins seem to have lived below Third Street, perhaps either on Union or Allen, I was curious to know exactly where. So I went to the History Room at the library to check the old Hudson directories. Strangely, no William Coffin is listed in the directories for 1867, 1868, or 1869, and, although there are several Coffins listed, none lived anywhere below Third. 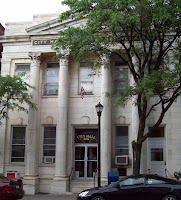 In 1868, City Hall was, of course, situated in what is now the Hudson Opera House, at the corner of Warren and City Hall Place. While the New York State DEC struggles with Lafarge Ravena's draft environmental impact statement, it's interesting to note that the government of India has overturned environmental approval of a $200-million cement plant proposed for Ghanger in northern India because of "the threat to the local economy and wildlife: "India scraps approval for Lafarge cement project." Thanks to Sam Pratt for bringing this to our attention. The Register-Star reported this morning that another movie is being filmed in Hudson: "Make way for movie cameras; Hudson turns film set." In the past, the Iron Horse has been the favorite Hudson setting for movie scenes--Nobody's Fool, The Cake Eaters--but the major setting for this film is The Cascades. Many buildings in Hudson have experienced adaptative reuse, but none quite so extraordinary as this building in the 500 block of Columbia Street. The building started out as the synagogue for Congregation Anshe-Emeth, which later moved to the building that is now Shiloh Baptist Church in the first block of Warren Street and still later out to Joslen Boulevard. 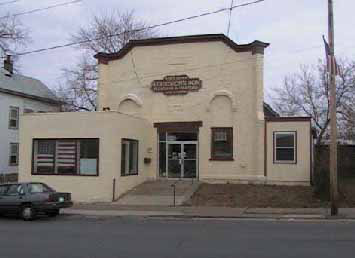 For many years in the twentieth century, the building was the office of S. T. Hudson's Son Plumbing & Heating. Now, the last we've heard, the plan is to convert the building into upscale condominium apartments. Gossips has received word that Barbara Walters was in town on Saturday, accompanied by Frank Langella. Among their stops were Hudson City Books and Rural Residence, where Walters purchased a gift. When I published the 1867 Evening Register article “Private Residences” on Thursday, I promised to provide the current addresses for all the houses mentioned. Researching the conversion in the old Hudson directories and touring the streets to see if the houses mentioned still exist led to two conclusions. First, the unidentified author of the article seemed mostly to mention the houses of people he knew or knew of. Some architecturally notable houses were left out. Second, a simple list of the 1867 addresses and the current addresses would be inadequate. Some of the houses do not have the same number they had in 1889 when the renumbering was implemented. So instead of a list, a commentary is being provided. In the first block in Union Street there are a number of handsome houses, among them the residences of M. Hoffman Philip , Lemuel Holmes , Samuel W. Harris  and William H. Mellen  and David E. Kendrick . 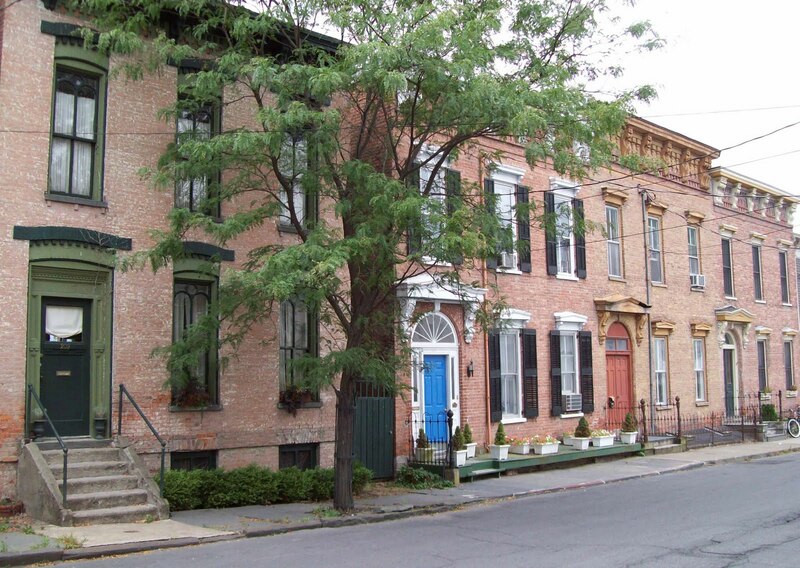 These houses are all of brick, and are considered the most substantial in the city. Three of the houses mentioned still exist--11, 12, and 17. It appears that neither 22 nor 26 does. The house that is now 20 stands between 18 and 38, with two lots to the west and one to the east making up its yard and garden. The surviving house was probably not originally 20 but 24, and both 22 and 26 have been lost. Correction: The home of William H. Mellen does still exist. 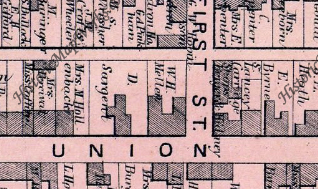 Although the Hudson city directory for 1867 gives his address as 26 Union Street, thus leading me to believe that his home is now missing, the 1873 Beers Atlas map for the First Ward shows that the building on the corner of Union and First streets, now numbered 28 and 30, was owned by W. H. Mellen. On the second block, we find the residences of Robert B. Monell , and that of Wm. H. Clark . The house of the latter is a land mark, having been built many years ago by Capt. Hudson. . . .
Diagonally opposite the Clark property is to be found the house of Sherman Van Ness . This house is considered very desirable, as it has the appearance of a very stylish and aristocratic mansion. No. 53 is now 123, and 63 is probably now 127, which actually faces Second Street but fits the description. No. 70 is gone, replaced by Mount Carmel Catholic Church, now St. Nicholas Ukrainian Catholic Church. On this same block can be found many houses noted more for comfort than elegant appearance, although some of them are quite a la mode.--Among these are the residences of E. Sedgwick , E. H. Macy , Richard F. Clark , Mrs. Bacon  and Cornelius H. Evans . House No. 77, now occupied by L. Higley, is one of the most ancient in the city, and is revered as the birth-place of General Worth. . . . Opposite to Mr. Evans' stands the large and elegant house of George W. Gibson . This is a large, old-fashioned mansion and is surrounded by ground enough to make quite a small farm. . . .
With the exception of No. 70, all the houses mentioned in the 200 block of Union Street are still there: 69 is 201, 77 is 211, 97 is 229, 99 is 231, 106 and 108 now share the number 238, and 111 is 241. On the square above Third street stands the cottage of Dr. W. H. Hart , a neat house, built originally by Charles H. Casey. This cottage seems to be, and without doubt is, very cozy. The other noticeable houses here are those of Mrs H. Smith  and H. B. Van Rensselaer . This gets puzzling. According to the directories, 123 became 255--still in the 200 block and the number of the building on the southwest corner of Third and Union that was demolished in the 1970s--hardly a cozy cottage. The other two buildings are still there: 177 is now 349--the Union Street Guest House--and 184 is 358. Although the upper part of Allen street contains some of the finest dwellings in the city, the lower part can lay claim to a number of very nice houses. Among these are the rows of houses built by John I. Gaul [65-69], and the house of Wm. H. Power  on the block between Second and Third streets. . . . On the Southwest corner of Allen and Second streets stands the residence of Mayor Jacob W. Hoysradt . This house is a correct specimen of gothic architecture, and was built by Charles C. Alger, from whom Mr. Hoysradt purchased it. . . . Opposite Mr. Hoysradt, and fronting on Partition street, we find the dwelling and grounds of Mrs. Richard I. Wells . . . .
All these houses are still with us. Nos. 65-69 are now 203-207, and 71 is 209, the home of The Gossips of Rivertown. No. 59 Allen is still 59, and 67 Partition is now St Michael's Ukrainian Orthodox Church. Returning to that part of Allen street above Court House Square and above the residence of Lucius Moore , we find the house of A. M. Baker , formerly occupied by the late Killian Miller. Nearly opposite this is the dwelling of J. D. Aymar , a very pleasant house, and just suited to the location. At the head of Allen Street on the South side, is a house belonging to W. W. Hannah, and occupied by T. Simpson . This house is decidedly the neatest and coziest in town, and was fitted up under the direct supervision of Mr. Hannah, everything about it is complete, and it is much sought after, but nothing has yet induced the owner to sell it. The first three houses mentioned are on East Allen Street. 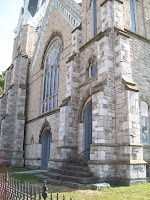 The odd-numbered ones are all gone, replaced in the 1930s by St. Mary's Catholic Church. However, the first house on the block--at the corner of East Allen and East Court--which was designed by J. A. 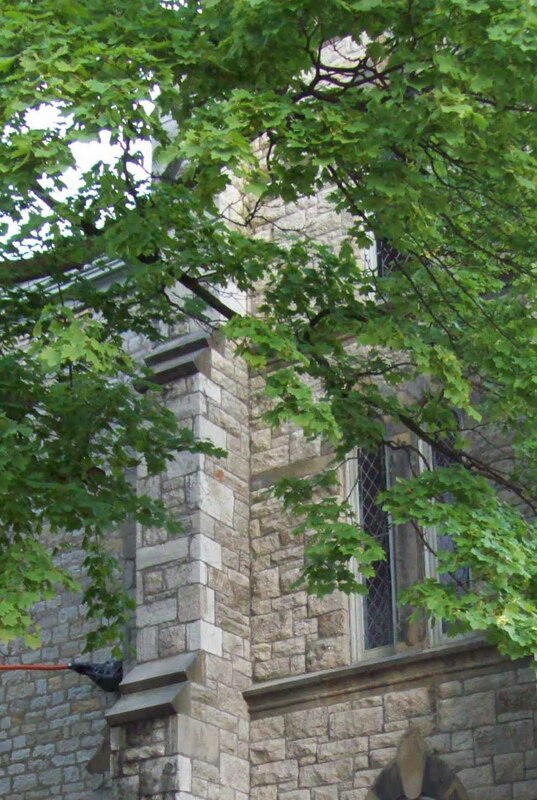 Wood, who was the architect for the Bardavon in Poughkeepsie and the Gothic expansion of our own First Presbyterian Church, was not demolished but moved. It is now Catholic Charities at 431 East Allen Street. No. 206 may be lost. In the directories, 206 became 428. The first two houses on the north side of East Allen have the numbers 426 and 430. According to the 1867 directory, the house occupied by T. Simpson was not on East Allen but on the 300 block of Allen. 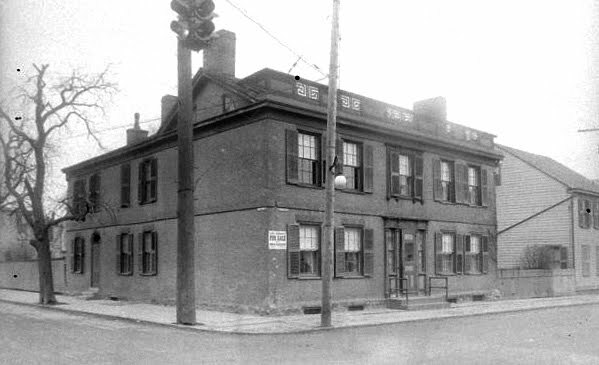 It was probably the house that stood on the site that is now the courthouse parking lot. On the block above Fifth street are a number of houses, the most of them set a few feet back from the street. Among the more noticeable of these is the house lately owned by John French , and those of Thomas Gantley  and Hiram Macy . These three houses still exist. No. 278 is 518, 286 is 538, and 309 is 549. Directly opposite Sixth street, in Union, is the palatial residence of Thomas Best . . . . It has been built hardly two years. . . . Above this mansion are the residences of Wm. H. Crapser , Alex S. Rowley  and Robert Shepard [corner of Seventh], all frame buildings, but of the best models and very stylish. No. 325 is now 601--the Italian villa built after a design by Richard Upjohn. This house, formerly the Elks Club, is known as the Terry-Gillette Mansion and is commonly believed to have been built for William Terry, partner in the retail firm of Guernsey & Terry. However, this article identifies the original owner as Thomas Best. Of the other three buildings mentioned, two remain: 333 is 611 and the house at the corner of Seventh is 619. No. 331, the site of the residence of Wm. 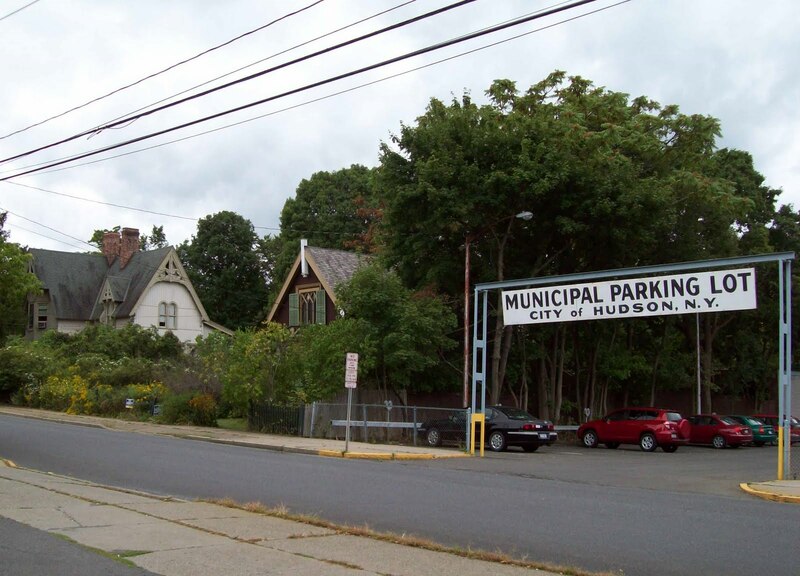 H. Crapser, is now a municipal parking lot. 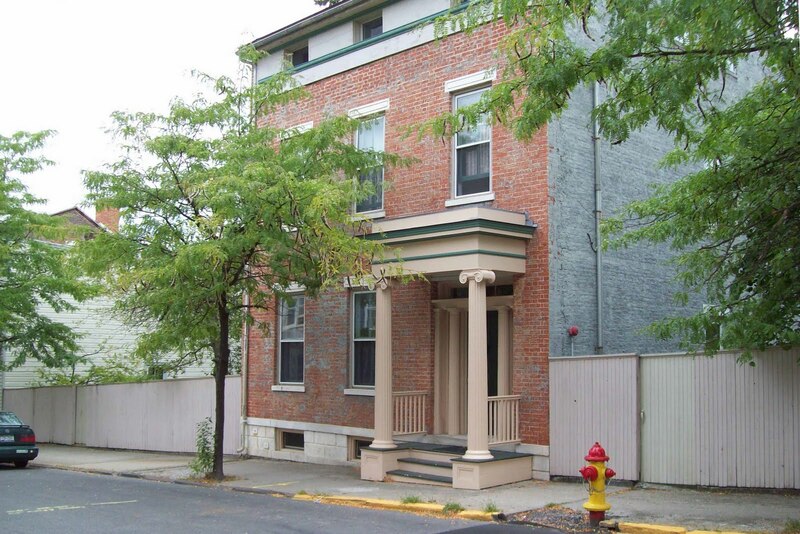 After the August meeting of the Historic Preservation Commission, Gossips published an article about 226-228 Warren Street, explaining some of the problems presented by the project. At the end of the August meeting, the HPC ruled that the application for 226-228 Warren was complete, giving themselves sixty days to work with the owner to get things to the point where they could grant them a certificate of appropriateness or, failing that, to deny the application. Yesterday the owner of 226-228 Warren Street was back before the HPC with revised plans that addressed the HPC's objections to the previous plans. The plans involve rebuilding the central chimney, which was recently demolished, retaining the asymetrical placement of windows on the upper floors, introducing two storefronts on the ground floor with bracketed projecting display windows, similar to other storefronts on this block of Warren Street, and moving one of the ground-floor doors to the left of a display window. The HPC reviewed the revised plans and granted a certificate of appropriateness. 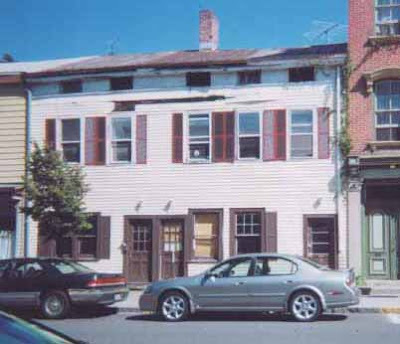 In another decision made at the meeting, the HPC denied a certificate of appropriateness to the new owners of 430 Warren Street who wanted to replace the two-over-two wood windows that are original to their building with six-over-six vinyl windows with fake dividers. The Secretary of the Interior's Standards for the Treatment of Historic Properties, by which the HPC operates, requires that original historic fabric be restored or repaired; if that is not possible it must be replaced with something made from the same materials which reproduces the original. The proposed replacement windows fell far short of meeting the requirement, and the HPC told the applicants that they could not grant a certificate of appropriateness. The owners argued that they had already purchased the windows. They complained that the application for a certificate of appropriateness nowhere states the obvious: that if you purchase materials or enter into a contract before your project has a certificate of appropriateness, you do so at your own risk. They explained that they didn't realize the Historic Preservation Commission would be more concerned with historic accuracy than with appearance, making it clear that they thought their new windows would look better than the building's original windows. The HPC held their ground and denied the certificate of appropriateness. The owners, when told about the provision in the law to appeal the denial of a certificate of appropriateness on the basis of hardship, expressed their intention to pursue that course of action. This will be the first time in the history of the Historic Preservation Commission that the hardship appeal will be made and hardship process tested.